Eilish won the U13s race at the Reebok Challenge in Falkirk. Eilish won the U13s race at the Reebok Challenge in Birmingham, in a time of 10.59. Eilish was 3rd in the U13s race at the Reebok Challenge in Sefton Park, Liverpool, in a time of 10.17. Around the 3km cross-country course, McLoughlin and Hopkinson broke away from McColgan’s early brave efforts. Sarah Hopkinson (Gloucester AC) strode away with about 400m to go and held off a concerted challenge from Lucy McLoughlin (Stockport Harriers) and McColgan. Following in your mother's footsteps takes on a whole new meaning when the treads belong to one of the greatest athletes of all time. But not even the prospect of being compared to an Olympic silver medal list and world championship winner also known as mum has deterred Liz McColgan's talented daughter Eilish. As a loving and fiercely protective parent, Liz insists she has no set ambitions or expectations for Eilish's running or sporting career. But she does admit that she gets just as nervous and excited when Eilish is preparing for a big race as she did getting ready for her Olympic and World Championship finals. She said: ''When she runs, it is a really similar feeling to those sorts of moments, because you want her to do well and you know what talent she has. ''And if she runs really well, we do get really excited because I know what it feels like and how good it can be. The 13 year old is making bigger waves in the sport than either her mum or steeplechase runner dad Peter made at her age and she is currently ranked best in her year group in Britain. Collecting cross country running titles all over the country, she is one of Scotland's outstanding young athletics' talents. In the last year, Liz, 39, has stepped up her comeback from retirement to help coach and train her promising first-born giving other runners the daunting prospect of lining up against two McColgans. Liz had been forced to retire three years ago after suffering persistent foot injuries, but after a series of operations, she declared herself fit to compete on a limited basis, and now runs in the senior events at her daughter's races. Liz, who is also the chairman of Scottish Athletics, and Eilish are now gearing up for the Scottish Cross Country Championships in Perth this month both are favourites to win. The fact that Liz McColgan's daughter is so talented shouldn't be too much of a surprise when you consider her genes and upbringing in the athletics' world. She was born in 1990, when her mother was at the top of her game and racing around the world picking up gold and silvers at Olympic and World Championships, and baby Eilish was with her every step of the way. And while she wasn't exactly asking for spikes or starter blocks from Santa, the idea of running before you can walk has been second nature to Eilish. Now firmly settled at their family home, close to the main branch of her successful chain of gyms, Liz said: ''Running has always been part of her because we have been training and competing for most of her years. We would take her to races and she was flying all over the world with us when I was at the peak of my career. ''I always remember when she was about two or three, we were in a butcher's shop and there was another mum in there with a weeboy, and I looked down to see Eilish pressed against the glass counter doing calf stretches trying to outdo this boy. 'It was so funny and it just showed how much she was into the lifestyle without even knowing it. ''But we did cut back on the travelling after a couple of years because one time we came back to our house in Arbroath after a trip and she didn't even recognise it as home and didn't know she could play with toys in her room. ''Competing has been something for her to get used to and there is still a lot of the kiddie about her. Eilish's career start couldn't be more different than her mum's, though. She pounded the hard streets of Dundee on her way to and practised in between shifts in a jute factory until she won a scholarship to an American college at the age of 18. Her daughter, however, won't have to go as far as Alabama or Idaho for her training, and has much wider access to better facilities and coaching, not to mention having a world champion on hand for advice. Although naturally fit and possessing the thin and sleek build of a distance runner, the prodigy only started showing promise two years ago when she was drafted into a race by a primary school sports coach impressed by her surname. After surprising herself with her performance, coming second, the McColgan genes started to kick in and she decided to take it up seriously. But despite her thoroughbred genetics, the smiling teenager is determined to make a name for herself, by herself. Eilish continued: ''I would like to run professionally, but you don't know what can happen or if I'll be good enough. 'I love sports, though, and I would definitely love to work in running or sports, like a PE teacher or something. ''I try to never think about comparisons with anyone else. 'What my mum achieved was great and amazing but she is still my mum, and that's how I've always thought of her. And when I'm running, I'm doing it as myself, not anybody's daughter, and I want to be successful as myself. When she's not pounding the track or training, the shy, intelligent and cheerful teenager is just like any other 13 year old. She thinks Orlando Bloom and Justin Timberlake are wonderful and listens to the charts, especially Franz Ferdinand and The Darkness although she denies ever liking Busted and she likes to play computer games with her three younger brothers. And her mum thinks it is vitally important that she has enough time to act her age. Liz said: ''Because of who we are, most people tend to think she'll be out training every day and practising all the time. ''But she actually trains less than most of the kids she is running against. Some are out there five or six days a week, but we try and keep her to two or three nights. Liz added: ''She does have a talent for it and is a great runner and I would be disappointed if she said tomorrow that she wanted to give it up, but whatever she wants to do we will support her completely. Eilish collected the Silver medal at the Scottish Nationals behind L Mackin (Giffnock North). Eilish took the Silver medal in the U15 girls 1500m behind Rebecca Finch at the Scottish U15 & U13 Indoor Championships. Pre-race: Nottingham: Eilish McColgan (Scotland East, 341) is six points clear at the head of the Reebok Cross Challenge standings with 65 points. She stamped her authority on the series from race one at Falkirk, winning by 20 seconds. Then she found a sprint finish to register another victory at Birmingham. After being pushed back to third place at Liverpool, she returned to winning ways in January at Belfast. And she made it four wins in four countries when she triumphed in Cardiff in the penultimate round of the Reebok Challenge. Eilish won the U13s race at the Reebok Inter-counties in Nottingham. Whilst Eilish (pictured) overcame the disappointment of finishing 2nd in the Scottish Nationals in the best possible way with a gritty run to repel all challengers. 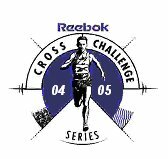 Eilish won the Reebok 2003/2004 series, with 115 points. Eilish ran for Scotland against England, Ireland and Wales at the Home Nations Schools Cross Country championships in Ayr on Saturday, April 3, where she came 9th in the Junior Girls race. Pre-race: Celtic Games: In the under 15s 1500m, 13-year-old Eilish McColgan (Dundee Hawkhill) could be up to two years younger than her opponents, but age has not held her back so far this year. She has competed with great distinction against older athletes all season long and is expected to rise to the challenge again this weekend. 26th September - In the U15 girls' seasons outdoor rankings Eilish lies 5th for 800m with 2:12.65, 4th in 1500m rankings with 4:36.70 and second on the 3000m rankings with 10:17.88. Eilish McColgan was third in the the U15s race at the Reebok Cross Challenge race in Falkirk. In what was a very competitive race, with half the course completed the lead girls were still running as a pack which included Eilish McColgan (Dundee Hawkhill Harriers), last year's Under 13 Inter-Counties winner, running for the first time in the Series as an Under 15, Nicola Morgan (West Suffolk AC), Catriona Sinclair (Edinburgh Southern Harriers), Natalie Grant (Rotherham Harriers), Kate Hindle (Preston Harriers), Rebecca Finch (City of Glasgow AC) and Carys Davies (Sarn Harriers). It was not until the start of the final hill that this group had been broken down to five with each of the girls each spread out some ten metres apart. Kate at this point taking the lead from Natalie, then Eilish, Nicola and Catriona. Natalie who participated in the UK Athletics week long training camp at the St Mary's Endurance Centre at Twickenham in June, found the speed on the final stages to eventually take the race from Kate and Eilish. Pre-race: Natalie Grant (Rotherham Harriers) will be looking to repeat her victory in Falkirk in the Under 15 Girl’s race. Grant, will be joined by Kate Hindle (Preston Harriers) runner-up in Falkirk and last year’s Under 13 Girls Series winner Eilish McColgan (Dundee Hawkhill Harriers). Gloucester’s Sarah Hopkinson is also in the field. Eilish McColgan was 8th in the U15s race at the Reebok Cross Challenge race in Birmingham. Eilish McColgan finished a disappointing 31st in the Under 15s race at the Reebok Cross Challenge at Parliament hills, London. Pre-race - The winner of the overall Reebok Series Under 13 Girls’ title last year Eilish McColgan (Dundee Hawkhill Harriers) makes the trip to Belfast for the Under 15 Girls race. McColgan finished third in Reebok race in Falkirk and eighth in Birmingham. 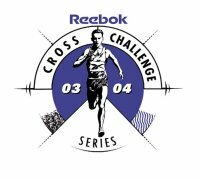 Eilish was 9th in the U15 Girl's race at the Reebok Cross Challenge race in Belfast. Eilish McColgan, watched my mother Liz, twice a Senior winner of the Belfast International, also boosted her series position with ninth place. Eilish finished 7th in the Under 15 girl's race at the View From International XC in Edinburgh.